The economic growth of Turkmenistan is carried out on the basis of the national and state programs for short and long term periods. Today, Turkmenistan has the diversified, multifunctional economy presented by enterprises of power industry, oil and gas production, oil-processing, chemical and petrochemical field, mechanical engineering and metal-processing, objects for producing building materials, light and food industry.The growth rate of Turkmenistan’s GDP made up 10,2% in the year 2013 as compared to 2012. The growth volume of industrial production accounted for 7,3%. In comparison with the previous period the growth rate of investments equaled to 7,1%, the size of wages amounted to 11%. At present, in the country, under the leadership of President Gurbanguly Berdimuhamedov, grandiouse reformus are under way in the framework of the national and state programs, which are aimed at the diversification of the national economy and at the achievement of innovative character. In this context, traditional sectors have considerably grown over the recent years: oil and gas complex, power engineering, agriculture, construction, transport and communications. At the same time, a lot of work is being carried out for the formation of new sectors of the economy: chemical, textile and building materials industries, telecommunications and other high-tech spheres. Special programs have been worked out such as the “National program for socio-economic development of the country for 2012-2016.” They are targeted at the further enhancement of the above named branches for medium-term prospect. Turkmenistan actively develops its foreign economic relations with other countries. Today Turkmenistan has established trade relations with 103 countries of the world. Presently, Turkmenistan has trade relations with 103 states. In 2012, the growth of the foreign trade turnover accounted for 102%. The total volume of hydrocarbon resources amount to 45.44 billion tons of oil equivalent. In 2012 Turkmenistan produced more than 69 billion cubic meters of natural gas and 11 million tons of oil. The Program on the development of oil and gas complex of Turkmenistan stipulates the increase of gas production up to 250 billion cubic meters, and oil – 110 million tons by the year 2030. Possessing by more than 24 trillion cubic meters proven reserves of natural gas, as well as taking into account the peculiarities of the geographical location, Turkmenistan implements the policy of diversification of its international cooperation, particularly in the energy sector, on the basis of an equal partner access to the sources of Turkmen hydrocarbons and their means of delivery. This involves the creation of multivariate transportation pipeline infrastructure on the conclusion of Turkmen energy resources to international energy markets. Following this, the country along with the traditional routes, in 2009, implemented two new major projects of exporting its energy resources to the world market: the gas pipeline China-Turkmenistan and the second gas pipeline Turkmenistan-Iran.The country together with its partners launched its gas pipeline on the route of Turkmenistan-Afghanistan-Pakistan-India. Turkmenistan is highly interested in the projects on export of its energy to the European direction. Along with the geographical diversification, the structural diversification of the energy sector of Turkmenistan is being gradually implemented through the creation of new, primarily, process industries, based on hydrocarbon raw material. Turkmenistan believes that the joint implementation of international transport projects in Central Asia and the Caspian basin are also important, taking into account the unique geographical location in the region. The power system of Turkmenistan is associated with the combined power system of Central Asia and is capable of exporting large amounts of electricity to Afghanistan, Iran, Turkey, Tajikistan and other countries in the region. The potential of the energy industry in the country is constantly increasing: the construction of new power plants and power lines, the reconstruction and modernization of existing power facilities. In accordance with the Presidential Decree as of February 25, 2011,theconstruction of high voltage overhead power lines and substation complex began in Lebap and Mary provinces, as well as the reconstruction of existing substations and spare parts for power plants. Upon the completion of these works, Turkmenistan will be able to increase the export of electricity to Afghanistan five times. The capacity will also allow exporting electricity to Pakistan and Tajikistan. 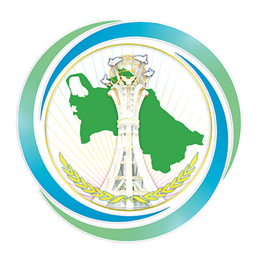 Turkmenistan has great opportunities for the development of different sectors of chemical and petrochemical industries, including the use of resources of already developed fields and industrial development of new deposits of chemical raw stock. In 2009, the construction of ore-dressing and processing complex were launched on the outskirts of Garlyk settlement in Lebap province, where a range of deposits of potassium saltswere opened in the ore-mining region Gaurdak-Koytendag. The construction of a mining complex on the production of potash fertilizers, per se, symbolizes the birth of new mining branch for the Turkmen economy, based on the vast resource base. Thus, Garlyk deposit of potassium salts is capable to produce fertilizers in the volume of 1-1.5 million tons annually and in the future that figure will reach up to 4 millions. The cost of the first stage of the complex is about 1 billion USD. Turkmenistan attaches great importance to the development of transport and communication system (railways and roads, sea and river ports, pipelines) as an essential part of infrastructure for the sustainable development of the country’s economy. Large-scale international projects in the transport sector initiated by President GurbangulyBerdimuhamedov are aimed to give a significant boost to regional and interregional economic cooperation. In this context, the construction of the railway Kazakhstan-Turkmenistan-Iran is relevant and economically viable. In 2010, there was the detailed consideration of the Turkmen initiative on the creation of the transport corridor from Central Asia to the countries of the Persian Gulf. The ceremony of the commissioning of the Turkmenistan-Kazakhstan part of the railway Kazakhstan-Turkmenistan-Iran took place on May, 2013. At present, the length of railways in Turkmenistan is 3,080 miles. Over the years of independence, it has increased by 900 kilometers. New railway lines have been constructed: Tejen-Sarahs, Turkmenabat-Atamurat, Dashoguz-Urgench, Ashgabat-Karakum-Dashoguz. Powerful economic potential leads to an annual increase in the volume of cargo transportation. In 2011 the volume of cargo transportation made up 104% as compared to the previous year. Turkmenistan is one of the largest international transit centers of railway transportation by the lines of “North-South,” “West-East.” Radio relays lines and Trans-Asian-European fiber-optic communication line between Shanghai and Frankfurt were constructed; its length in the territory of Turkmenistan makes about 1400 kilometers. All settlements of Turkmenistan are provided with a stable connection. The main objectives of the country’s agricultural sector is to meet food demands of population, provide processing industry with raw materials, increase production efficiency, form new economic relations and consistently strengthen food security. Today Turkmenistan is fully self-sufficient in basic foodstuffs. In 2011 Turkmenistan became one of the grain exporting countries. 217,000 tons are set for sale, including 150 tons of wheat, and the rest - in the form of flour. During the years of independence export-oriented textile industry with modern high-tech equipment was created in Turkmenistan, 60 textile complexes and enterprises with the most advanced and efficient equipment were built and commissioned into operation. This enabled to increase the refining capacity of cotton produced in the country from 3 to 55 percent. Between 1995 and 2010, the production of cotton yarn and cotton fabrics increased by 8 times. During the same period the export of textile products with a label “Made in Turkmenistan” increased by 29 times. Currently, about 80 percent of manufactured textile products are exported to the European Union, the USA, Canada, Russia, Turkey, Hungary, China, the Baltics, Ukraine and other countries. The annual volume of products and industry output reached an average of $300 million dollars. The investment activity of the economy has led to the rapid growth of the construction industry of Turkmenistan. In addition to large-scale public construction projects, industrial, recreational, cultural facilities, such as the creation of the Avaza National Tourist Zone,the large-scale construction of dwelling houses are being carried out within the National program for the reform of social and living conditions in villages, towns, cities, districts and etrap centers for the period up to 2020. Its main task is to create a high standard of living of the rural population, similar to urban, ensure balanced social development in all settlements of the country. Residential mortgage with the most favorable terms is extensively developed.